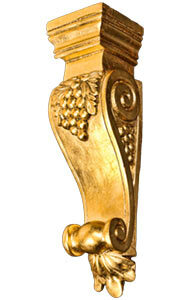 The GF-1131 Corbel is 9-1/2" tall, 4-3/4" wide, 5-1/4" deep, and has a Gold finish. If you’re looking for an elegant way to adorn your home or business, our gold foil products are the perfect way to achieve your desired look. 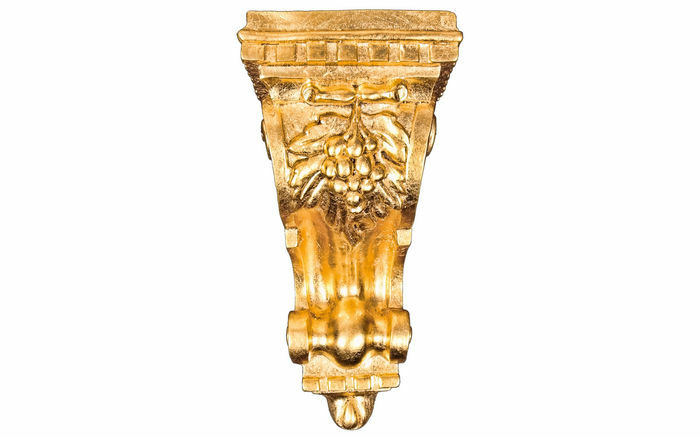 With their intricate design and 18k gold foil coating, our gold foil products have an elegant look that is sure to satisfy all who desire robust grandeur and beauty in their home or business. 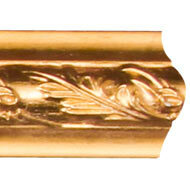 Please take extra care in handling and working with gold foil pieces while completing your projects as the foil is delicate and susceptible to showing every dent and slightest damage. 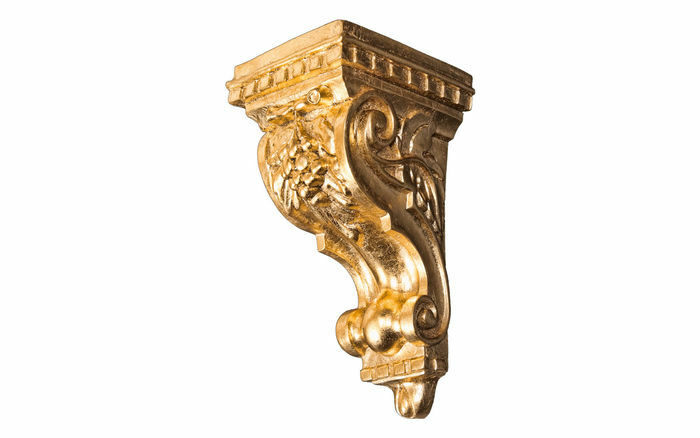 We recommend applying a coat of Rustoleum Clear Gloss Lacquer, available at your local hardware store, on all gold foil pieces to prevent peeling and strengthen the gold foil.